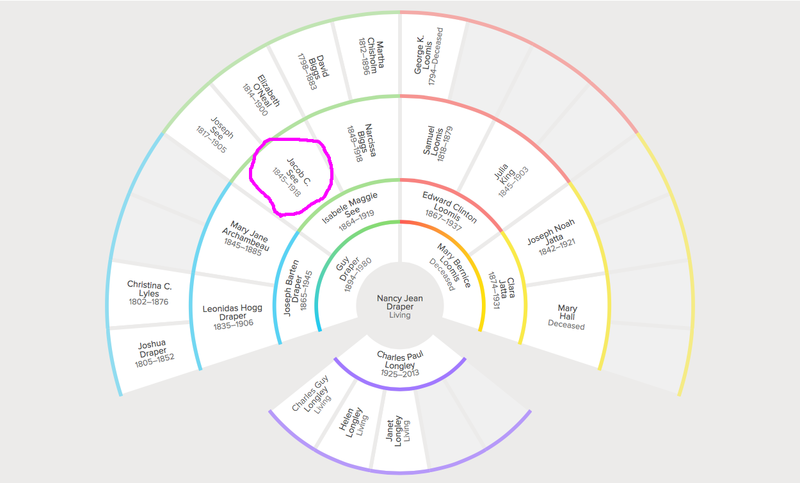 Here is my great-great-great grandpa. For one thing, he could put any No-Shave November participant to shame. He really did have amazing beards and mustaches. But, he was so much more than his spectacular facial hair. He was a G-E-N-U-I-N-E real American cowboy in California. 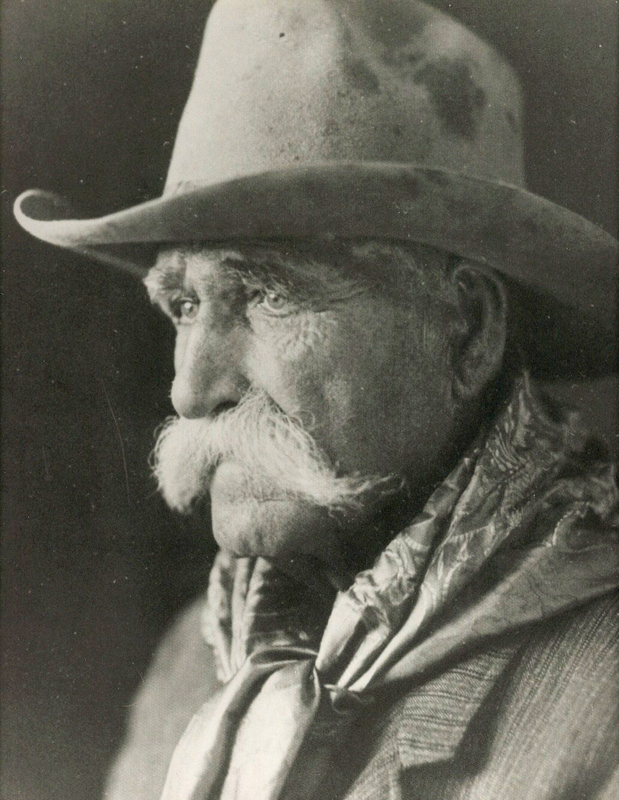 Jake C. See was the quintessential American cowboy―a mountain of a man with a wide handle-bar mustache and sparkling, clear eyes; his cheeks and sharp nose were chiseled by decades of wind, rain, and dusty trails until his face became as burnished as the leather boots he wore; he was bow-legged from constant horseback riding, donned a wide-brimmed Stetson hat and a bandana, wore a gun on the hip, and when riding carried a 100 foot riata (lasso rope)―the use if which he was famous for. 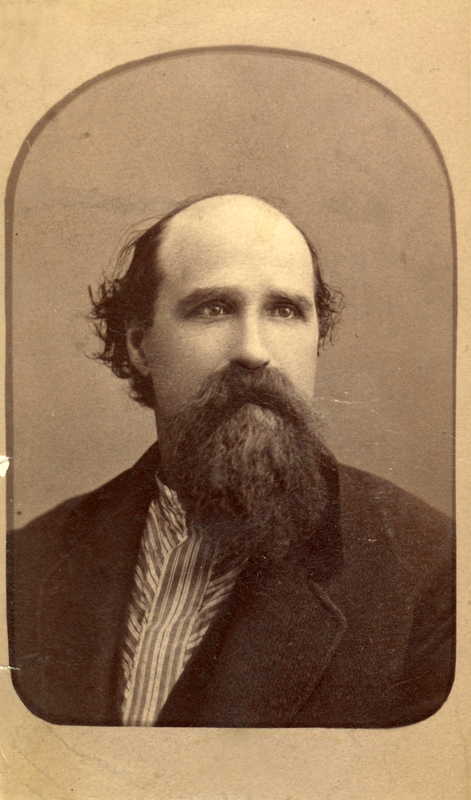 Con­sidered the “Robin Hood” of the West by friends and the devil incarnate by the rest, in 1880 was eventually arrested and convicted of sheep rustling but served only two years of a four year term in San Quentin Prison after local residents petitioned the governor for his early release. 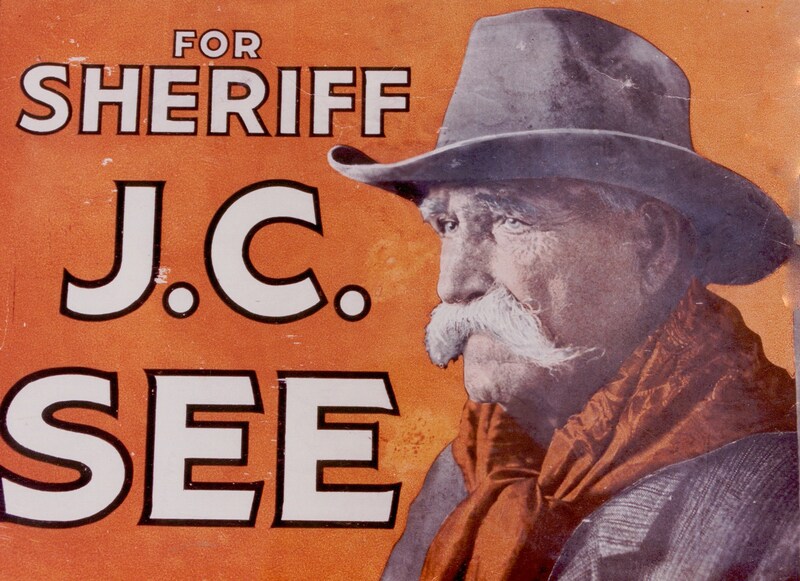 He ran unsuccessfully for Sherriff of San Luis Obispo County in 1918. (Apparently he was the popular choice until a scandal turned voters against him/he was picked up for bootlegging). Not much is found about Jake See’s childhood. However, the little details that have been preserved are priceless. 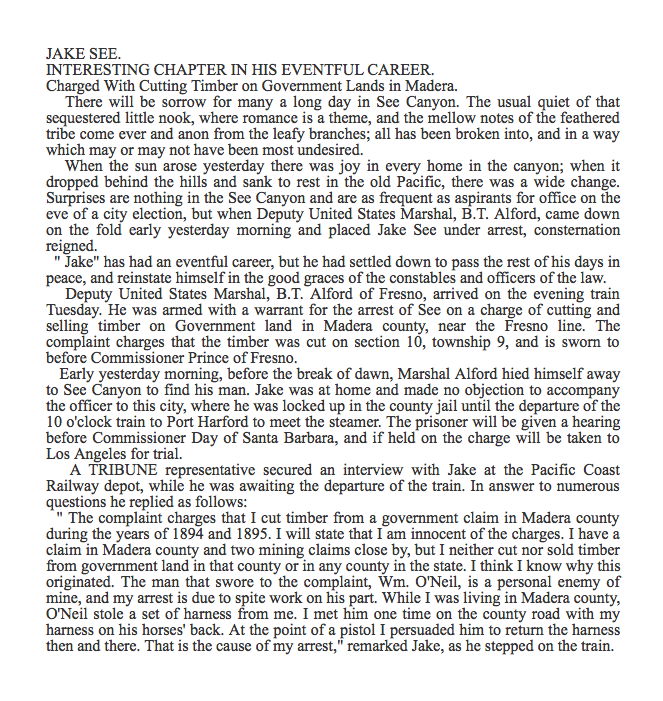 Jake See was an orphan and was adopted while “crossing the Great Plains by covered wagon train on the way to California” (San Luis Obispo Folklore and History: The Life and Times of Jake C. See).His new family settled in the in the California Frontier. The times were different back then. 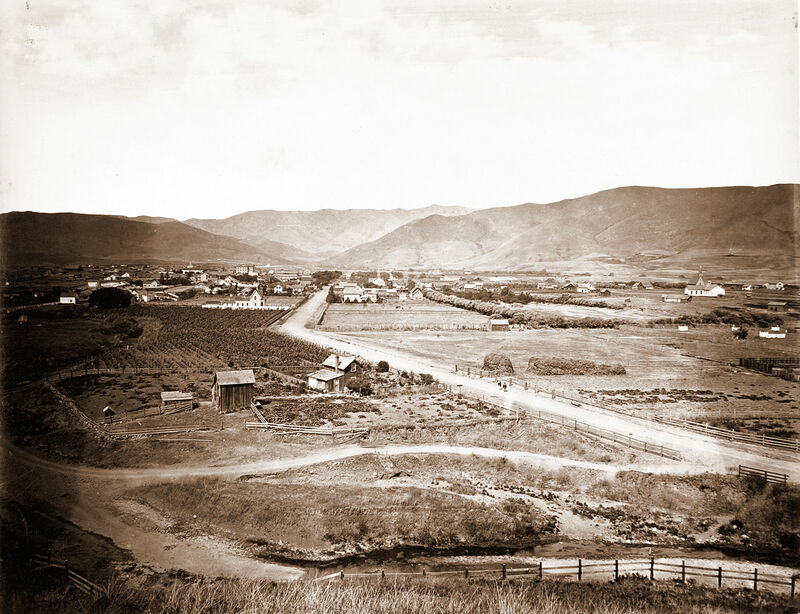 “San Luis Obispo was cow country―a time ruled by cattle ranchers and the cowboy way where the vigilante’s rope and the law of the gun prevailed” (San Luis Obispo Folklore and History: The Life and Times of Jake C. See). A newspaper clipping from 1886 illustrates how life was different back then. Fights were a common way to settle business. Not only was Jake accused for grand larceny and served two years for stealing sheep, on June 29, 1889 he was arrested for forgery when he was 44. According to the Sacramento Daily Union” vol. 1, No. 5 30 Jun, Jake See forged notes with MR Duffy amounting to $3,000. That was a lot of money back then! Jake See’s stories do not end with sheep rustling and money. In another account of Jake See’s life: Charged With Cutting Timber on Government Lands in Madera, it tells another side of Jake. Jake C. See may have been a colorful person, but some of the legends surrounding his name are allegedly untrue. In my family there is a legend that Jacob See was a horse thief and he was eventually hung for the crime. 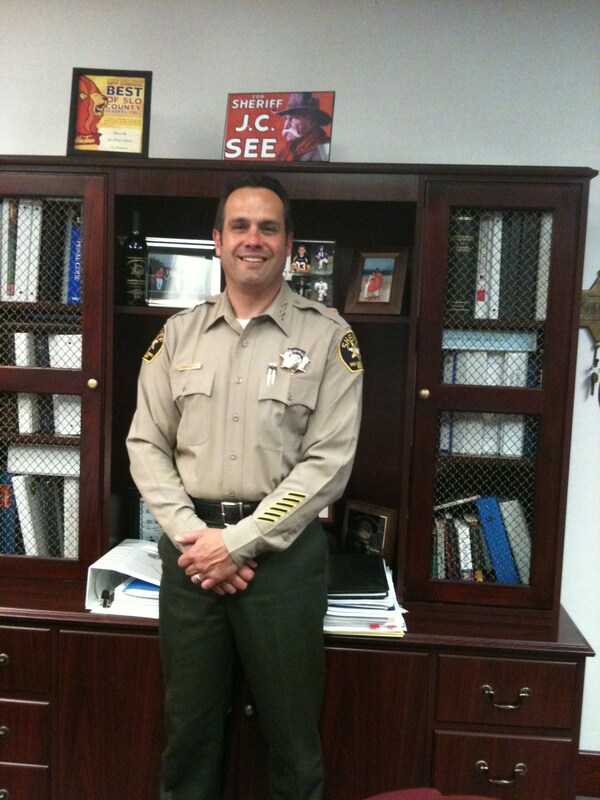 I am happy to report that Jacob C. See was no horse thief (as far as I can tell). He also was not hanged for a crime. 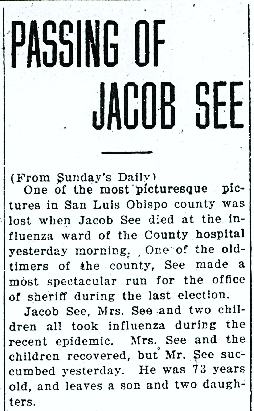 Despite the legends, Jake See died of influenza. He was 73 years old when he passed away. Narcissa (Biggs) See. Sepia print on card. (Photo Courtesy of James Mahar). 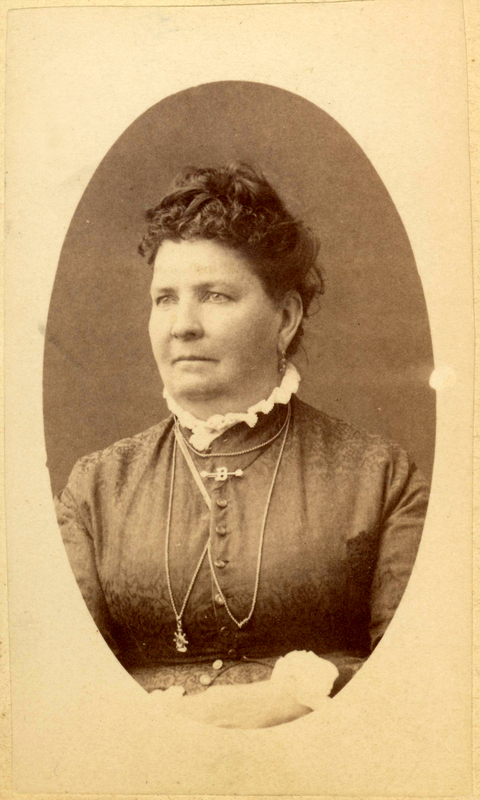 She was 13 years old when she married Jake See. He was 17.